BE/ BTECH/ ME/ MTECH/ MCA/ MBA required in Tata Consultancy Services (TCS). Tata Consultancy Services is all about bringing people closer to opportunities - opportunity to learn, explore and grow. An IT services, business solutions and outsourcing organization that delivers real results to global businesses, TCS ensures a level of certainty no other firm can match. Posted in Job After Btech, Jobs after ME/ MTECH, MBA, MCA, Walkins, With experience. Tags: 2011., Aug 2011, Candidates, Experienced, Job Opportunities, Tata Consultancy Services, TCS, Upto 21 Aug, Walk-ins on August 15, 2011 by kavita joshi. Thapar University | Aug 2011 | Govt. Jobs | Walk-ins JRF | Date: 12 Aug, 2011. BE/ BTECH (Mechanical) required in Thapar University, Patiala. 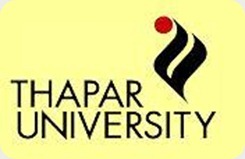 Thapar University (TU) was established on 8 October 1956 as an Engineering College named Thapar Institute of Engineering and Technology. It is a University established in 1985 vide Sec.3 of the UGC Act, 1956 under notification F.9-12/84-U.3. Thapar University offers Post-graduate and undergraduate programs in Engineering, Science, Management and Social Sciences. At TU we strive to maintain an environment that encourages scholarly inquiry and research, a spirit of creative independence and a deep commitment to academic excellence. Title of project: Study of erosion wear for the flow of ash-water slurry. Posted in Government Job, Job After Btech, Mechanical, Walkins. Tags: 2011., Aug 2011, Date: 12 Aug, Govt. jobs, JRF, thapar university, Walk-ins on August 9, 2011 by kavita joshi. NIT Calicut | Walk-ins for Project Associate | Govt. Jobs | August 2011 | Interview Date: 5 Aug, 2011. BE/ BTECH (Civil) required in NIT Calicut. Posted in Civil, Government Job, Job After Btech, Project Fellowships, Walkins. Tags: 2011., August 2011, Govt. jobs, Interview Date: 5 Aug, NIT calicut, Project Associate, Walk-ins on August 1, 2011 by kavita joshi. BE/ BTECH (Electrical) required in NHPC Limited. NHPC Limited (Formerly known as National Hydroelectric Power Corporation Ltd.), A Govt. of India Enterprise, was incorporated in the year 1975 with an authorized capital of Rs. 2000 million and with an objective to plan, promote and organize an integrated and efficient development of hydroelectric power in all aspects. Later on NHPC expanded its objects to include development of power in all its aspects through conventional and non-conventional sources in India and abroad. Walkins: 25 & 26th July, 2011. Timings: 9.30 A.M. to 12.00 P.M.
Educational Background: BE/ BTECH (Electrical) with 55% marks from a recognized University. Posted in Electrical, Government Job, Job After Btech, Walkins. Tags: 2011., engineers, Govt. jobs, Interview Date: 25 & 26th July, July 2011, NHPC Limited, Walk-ins on July 21, 2011 by kavita joshi.